What are Some Butter Substitutes? Applesauce can sometimes be substituted for butter. 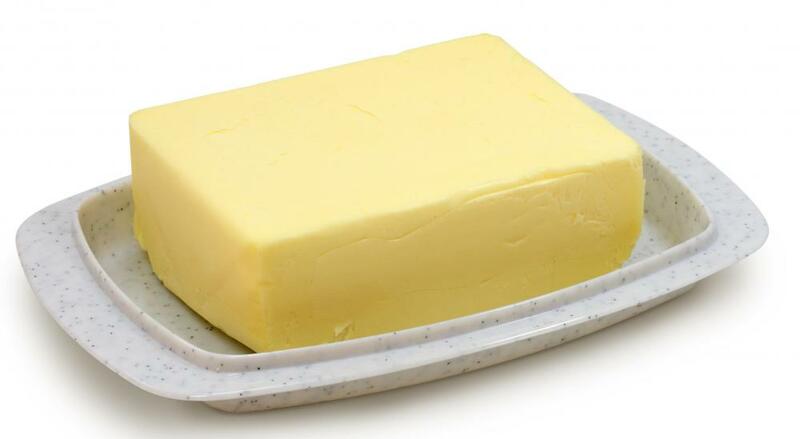 There are numerous butter substitutes that can be used for a variety of the same purposes as butter. They are simply alternative ingredients that often take the place of butter, especially in recipes. Examples include margarine, vegetable oil, applesauce, and nut oil. Often, the vegetable and nut oil alternatives are liquid, but there are many different vegetable oil spreads, grain oil spreads, and fruit spreads that can be used as butter substitutes on toast, muffins, biscuits, and other breads. Substituting butter in a recipe can also be accomplished with a variety of ingredients. One of the primary reasons people seek to use substitutes for butter in recipes is to reduce the total fat calories in the finished dish. With the exception of baking, substituting butter with a low fat alternative rarely impacts the outcome of the dish as far as taste and consistency. When using substitutes such as margarine in baking, it may be necessary to pay special attention to the percentage of vegetable oil content. Some recipes require a product containing a high percentage of oil. Other recipes may specify avoiding butter substitutes; however, salted and unsalted butter are most often interchangeable. Fruit spreads make excellent butter substitutes in certain baking recipes. They are often much lower in fat and can be used to replace butter and oil. These and other types of substitutes can be purchased in the baking isle of most grocery retailers. A chart is often included on the label that defines the required amounts for substituting in recipes. While substitutes for butter continue to be a popular selling product, especially for those with strict dietary needs, some people prefer to use natural butter in all their cooking and baking. Conflicting information makes it difficult to discern whether butter or substitutes are better for people to eat. However, if a medical professional or dietitian has recommended using substitutes for dietary or healthy reasons, its best for cooks to stick with an alternative they like. Who Eats More Butter: the French or Americans? What Is a Low-Fat Spread? How Do I Choose the Best Butter Substitutes? In Baking, what is a Good Vegetable Oil Substitute? What are the Best Substitutes for Margarine? But if you are diabetic using applesauce as a substitute is a poor choice. Even unsweetened apple sauce is very high in sugar. You can substitute 1/2 of the oil/butter for applesauce for baking purposes, lightning88, but why not just find something other than oatmeal cookies to eat? I have diabetes, too, and oatmeal cookies are not something that anyone in this household would make or eat as a result -- as you said, for the sake of our health. I've heard that applesauce works. Do you know, I have never been a fan of butter substitutes -- or understood the rationale behind them, to tell the truth. 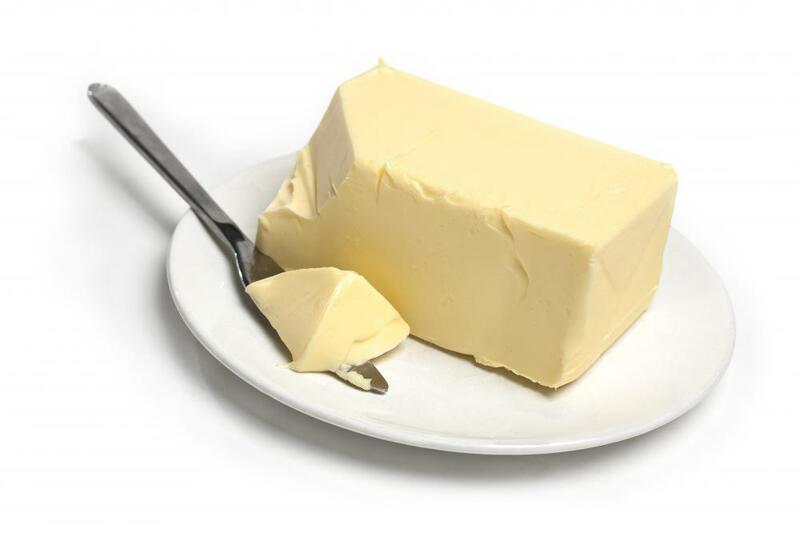 It's really crazy how many people won't touch a pat of butter, yet they'll put some sort of synthetic chemical that calls itself a butter substitute in their body morning, noon, and night. Seriously, butter itself is not that unhealthy if used in the proper portions. Now that is the most important part, the portion size. It is much, much healthier to just eat a little bit of butter and enjoy it than to stuff yourself with a synthetic oil or butter substitute all the time. -- eat anything you like, in the proper proportions. That is truly the easiest way to be healthy, and I would even say happy, since you're eating what you like instead of tasteless or hyper-flavored chemicals. So seriously people, trade in your fat free butter substitutes for a pat of butter. Enjoy your butter, just do it in the appropriate portion size. OK wisegeekers, I need some help. I am on a quest to find the best tasting butter substitute, and want to pick you all's brains to find out your favorites. I have never been much on butter substitutes, but I recently decided to try and do a vegan lifestyle, so now I need all the help I can get figuring out good, yet tasty butter substitutes. I am particularly interested in butter substitutes for baking, since I tend to bake a lot of my own foods and pastries, particularly bagels and pies. So everybody weigh in and tell me your favorite tasty butter substitute, and if you'd like, your favorite vegan recipes! Thanks all. I was wondering, is it possible to use a butter substitute for oatmeal cookies? I have been experimenting around with healthier pastry and baking recipes since I was diagnosed with diabetes but I have yet to find a really good substitute for butter for oatmeal cookie recipes. I will really settle for any butter or oil substitute, but I would prefer those that are low fat and low calorie, for my health's sake. So if anybody has some good, healthy oatmeal cookie recipes that use butter substitutes, please post them -- I would really appreciate any help!